Go old school with these large hanging calendars to plan out your days. Our bright hanging calendars will liven up any wall they are hung on, be it in your office, the break room or even at home. They can be really useful in scheduling important meetings and events. Calendar printing at Printstop is high quality and comes with wiro-binding at the top with a wire loop for ease of hanging on the wall. Our calendars are printed with the finest quality of crisp card stock. It lends its durability to the calendar, ensuring it stays visually appealing for the entire year. Hanging calendars make for great gifts for your corporate, as well as personal relations. You can make your hanging calendars online with custom colors and designs and have personalized text as well as your business logo. These hanging calendars will create a lasting impression, given that they will be in use all year round. You can either upload your own personalized hanging calendar, or get one from our design team. People often misinterpret the importance of wall hanging calendars and think of them as an extra and unnecessary expense. This is where they miss the trick. Wall calendars are versatile products and save you a lot of space and make your walls look colourful. Wall calendars have many benefits when used crrectly, especially customised hanging calendars. 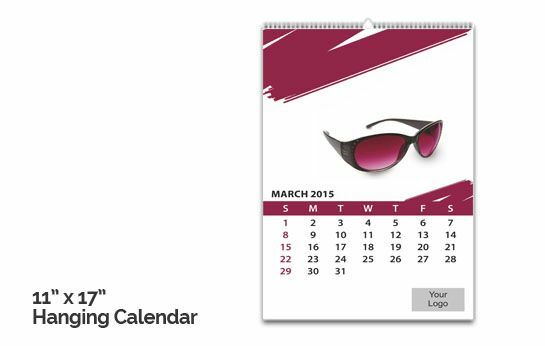 PrintStop creates these wall calendars for your business with much ease. Wall calendars are also known as hanging calendars or wall planners. Organise your entire week, month or a year on our custom designed hanging calendars and add some zing and zest to your otherwise serious workplace. Be it a colourful calendar, customised calendar or a multi colour calendar, with PrintStop, you are going to get it all and that too at affordable prices. 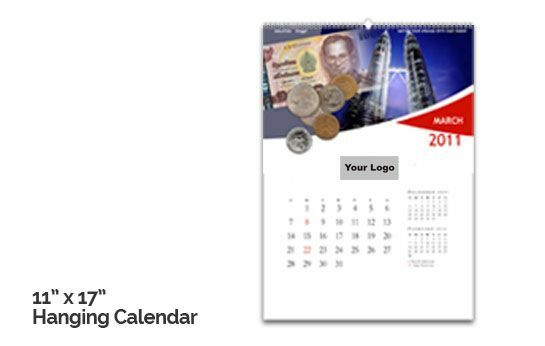 Gift our customised wall calendars to your employees and potential clients so that they remember you all the time. The wall calendar will display your brand's logo and its message along with your contact details and website url (added information) to a lot of people at one time. This results in generating more sales for you. Our online printed hanging calendars let you plan your events accordingly. This helps people to just write down their important notes on the respective date instead of mentioning in their mobiles or laptops, because electronic devices might catch virus. With our traditional wall calendars, this is out of the issue. Wall calendars, if designed in a proper manner with perfect a format, can help promote a company's image and leverage brand recognition. They are mostly used as nice gifts for a new year treat to an employee or a client. We can even custom design your wall calendars with your photos that bring back fond memories and make you happy. You can either upload your own design if you have a readymade calendar template or get your wall calendar custom designed through our design team Pehchaan. 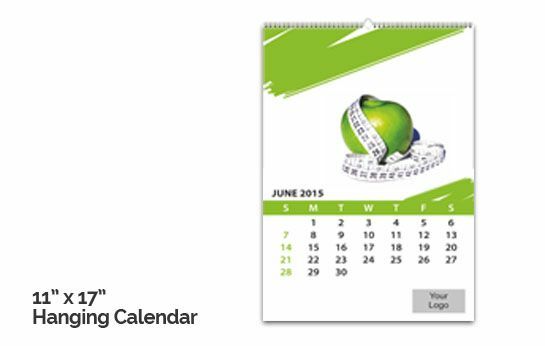 We create stunning wall calendar designs that are customised to your business specifications.